Coffee lovers would find it a delight, but in one of my visit to Wollongong, it was a necessity. With kids in tow, I needed a quick and hearty breakfast, and Wollongong Central was already buzzing. 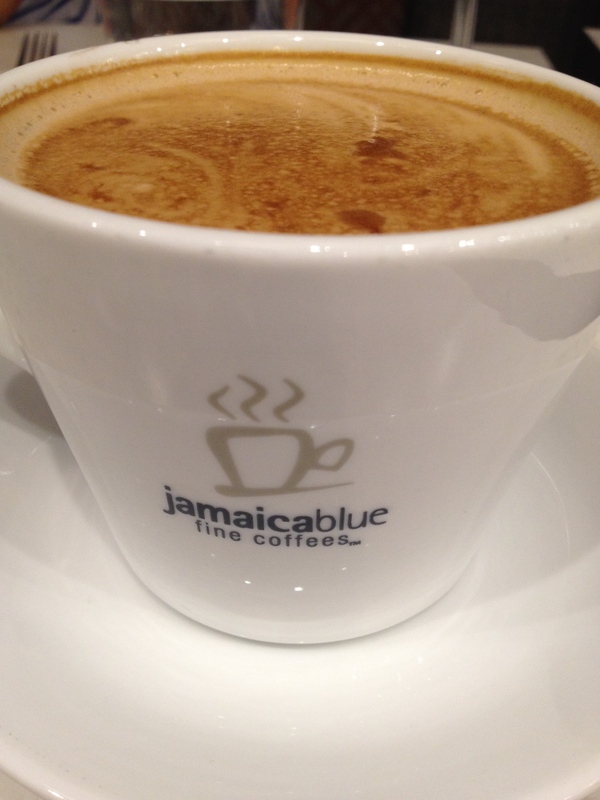 Jamaica Blue was just the right place-- nice ambience, spacious floor area, and nice comfy seats. Wan wan coco ful baskit may sound cryptic, but it is a Jamaican saying which roughly translates to "one one coco, full basket". It doesn't make so much sense, but Jamaica Blue explains it to mean that if you slow down, stop rushing and take your time, you will achieve your goal. Indeed, what an apt admonition to many of us. Jamaica Blue prides itself with the belief that everybody should take a little time out of their day to recharge, relax and reflect, to stop for a while and simply enjoy the moment. It is exactly what you'd get at Jamaica Blue Wollongong Central. Warning: breakfast serving at Jamaica Blue is huge, if you don't have a big appetite, it would be best to share. For a list of the full range of their menu, visit the main Jamaica Blue website. Located on Level 1, Building G of Wollongong Central Shopping Centre, Jamaica Blue is not easy to miss. Being part of a huge network of franchise, the brand is already familiar to many, and it is an added comfort that you already know what to expect.